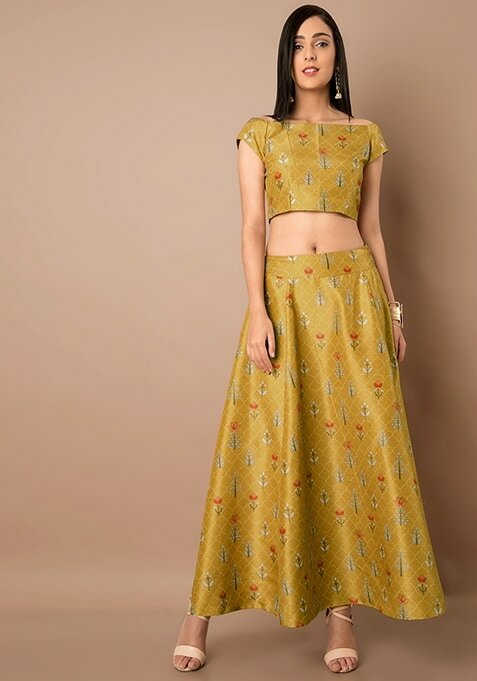 Add beautiful colors to your ethnic wardrobe, beginning with this mustard silk maxi skirt. Featuring a gorgeous combination of botanical print and Mughal grids. Work It: Style this gorgeous skirt with a matching top and complete you look with trendy accessories.